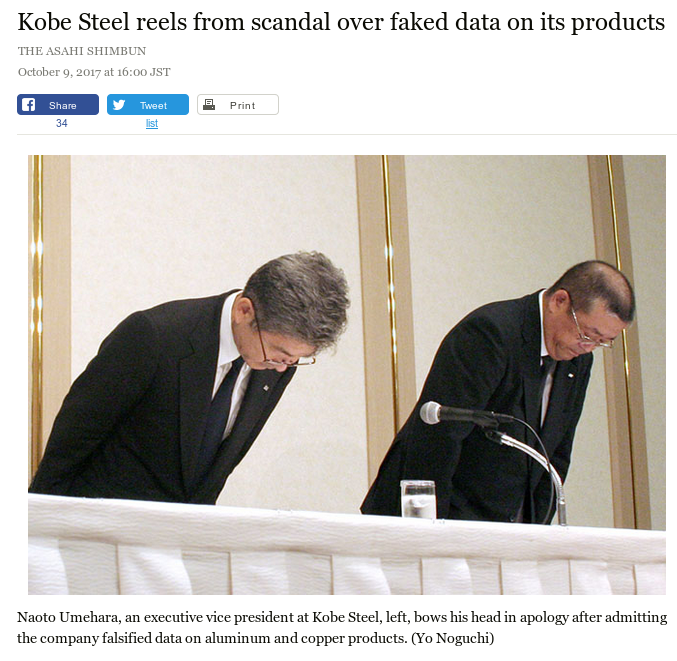 Kobe steel humbled over data fabrication scandal that started in Copper and Aluminium section which has been a growing sector of the company. Problem reportedly about copper and aluminium durability levels according to the worlds press, concern spreads that it points to problems in company culture, and other products may be effected. The revelations comes soon after announcement of joint venture to set up aluminium manufacturing plant in South Korea.